Soldiers in our country's service too often sustain combat injuries that cost them the use of their limbs. What if they still want to learn to fly. Able Flight is one resource for such aspiring pilots. Another national project is Wounded Warriors and Renegade Light Sport Aircraft has worked with European LSA manufacturers B.O.T. Aircraft to create a hand controlled airplane for use in training such students. We interview Tommy Counihan about his experience in flying the B.O.T. Soldiers in our country’s service too often sustain combat injuries that cost them the use of their limbs. What if they still want to learn to fly. Able Flight is one resource for such aspiring pilots. Another national project is Wounded Warriors and Renegade Light Sport Aircraft has worked with European LSA manufacturers B.O.T. Aircraft to create a hand controlled airplane for use in training such students. We interview Tommy Counihan about his experience in flying the B.O.T. 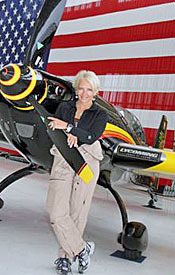 Aerobatic champion Patty Wagstaff will perform at Sebring. Rumors suggest she's looking at LSA for a new airshow routine. Dynon's SkyView now shows ADS-B weather and traffic. Bristell is partnering with Aviation Access Project to offer fractional ownership. World Aircraft will show their new, modestly-priced Vision LT at Sebring. B.O.T. 's SC 07 Super Cruiser may be the newest SLSA (#131). Reportedly for the first time, an FK12 Comet fired up its new Lycoming AE IO 233 powerplant. Pipistrel's Alpha Trainer is now approved for night flight in Poland. Bahamas anyone? Fun island hopping awaits, with sponsorship by Aviators Hot Line. Borrow a Sennheiser S-1 Digital at Sebring. Your ears may never be the same. Patty Wagstaff and LSA? This week brings the start of the Sebring U.S. 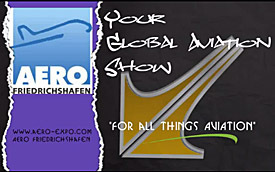 Sport Aviation Expo and excitement is high. Following are some news items to those who follow this event and the light, recreational aircraft space. On Friday, January 18th, Sebring EAA Chapter 1240 is sponsoring a dinner featuring aerobatic expert Patty Wagstaff who will perform at the event ... with such an airshow being a first for Sebring. Proceeds will support youth aviation education programs. •• The Sebring EAA chapter has engineered a rare partnership between the chapter, the airport, and the local school board to provide educational activities for kids. This sufficiently impressed aviation philanthropist James Ray that he ended writing a check for the entire structure, a new 60 x 70-foot building at the Sebring Airport with classrooms and facilities including a large hangar space where high school children are involved in restoring two aircraft. Led by aerospace teacher John Rousch, the chapter also provides flight training scholarships. The fund-raising dinner will be hosted in the main hangar of Lockwood Aviation Supply. First CTLSi with ADS-B Aviators love abbreviations and one that invaded light aviation recently is ADS-B. FAA's Automatic Dependent Surveillance-Broadcast service brings two major benefits for aircraft that install new equipment: free weather and surrounding air traffic. LSA market leader Flight Design recently completed the first installation of this in one of its brand-new CTLSi models. New dealer Florida Light-Sport Aviation, based at the Spruce Creek Fly-in near Daytona Beach, has the first of what is sure to be many such installations. •• ADS-B equipment for the installation is built by Dynon Avionics, a Flight Design supply partner that also builds the SkyView digital avionics suite used in the CTLSi models. A separate hardware module was added behind the 10-inch screen and connected to an antenna on the belly of the aircraft. An ADS-B equipped aircraft uses an ordinary GPS receiver to determine a precise position from GPS satellites and then combines that position with other aircraft information such as speed, heading, and altitude. This information is broadcast to other ADS-B capable aircraft and to ADS-B ground, or satellite communications transceivers which then relay the aircraft's position and additional information to Air Traffic Control centers in real time. It is seen as the "next generation" of air traffic control and gives this information directly to pilots and controllers. Dynon Avionics said, "The new SV-ADSB-470 unit offers subscription-free weather displayed on SkyView. Airport weather data can be displayed for nearest airports or for a specific airport identifier." Dynon added, "ADS-B receives traffic information with precise location, altitude, speed, and direction from broadcast from other ADS-B equipped aircraft along with data broadcast from ADS-B ground stations, presuming the aircraft is equipped with the correct transponder." Additionally TFRs can be shown even though these are temporarily restricted areas. LSA Fractional Ownership? Aircraft partnerships are generating growing interest. Another variation on this theme is fractional ownership. In a laudatory effort to grow the sport pilot population, Aviation Access Project CEO Rick Matthews said, "Our fractional ownership and management model allows more current pilots and those who have a passion for aviation the opportunity to own a brand new highly capable Bristell for about the cost of a used car. With a monthly maintenance fee of less than half of the average new car payment, we think we can offer the pubic an unparalleled opportunity to enter or re-enter the world of aviation for a fraction of the cost they expected." AAP has selected the Bristell as an early partner but is talking to other companies as well. •• AAP isn't the only outfit pursing this idea in light aviation. Eric Giles of World Aircraft wrote, "We will be introducing our new Vision LT RTF at Sebring. Fewer bells and whistles but just as capable. Price is $84,995." As World Aircraft Company introduces the Vision LT, they also announced a new relationship with fractional ownership company, Aviown. "They will be getting a specially prepared Spirit LT as well as offering our decked-out Spirit," said Giles. Eric also reported, "I am confirming that all manufacturing will now take place at our Paris, Tennessee facility. We have moved the Columbia operation from its factory location to an airport where we can do prototype testing. Designer Max Tedesco will concentrate on what he does best ... design." B.O.T. approved We're still waiting to see the airworthiness certificate, but understand the newest SLSA (#131) has been approved. Welcome to the B.O.T. SC 07 Super Cruiser, first seen by Americans at the AirVenture 2013 LSA Mall. SC07's fuselage is made almost entirely of carbon fiber with only a small part of the rudder made of fiberglass. The wings internal construction is made completely in carbon fibre and the skin is made in glass/foam sandwich. SC07 wings are detachable and can be removed or installed in 30 minutes by two persons. Due to the width of the cabin and high headroom, even tall pilots will feel comfortable in the SC07, which does look smaller from the outside. Seat height can be easily adapted to fit smaller persons. B.O.T. said landings are easy thanks to effective flaps that a quick decent and landing precision. Cantilevered wings make side viewing unobstructed. B.O.T. SC07 specs: Powered by the 100-hp Rotax 912 with 23 gallons of fuel on board giving a reported 650 nm range; 48-inch-wide cabin; 1,040 gross weight (European specification); 26-foot span cantilevered wings; reported 115-knot cruise with a 35-knot stall at best flaps; 390 foot takeoff roll and 520 foot landing roll. •• Renegade LSA in Missouri has been busy. While gaining approval for SC07, they also completed the long-awaited installation of a Lycoming O-233 on the FK Lightplanes FK12 Comet biplane. "This (photo) is first start of any Lycoming AE IO 233 aircraft engine in the world," claimed Renegade boss Doc' Bailey. "It started right up on December 22, 2012." Pipistrel's Alpha Night Certification Pipistrel keeps running with their well-received Atlas LSA trainer. Pipistrel reports officially flying the first European light aircraft certified for night flight in Poland. Pipistrel's CEO Ivo Boscarol said, "We are proud that our Alpha Trainer is the first light aircraft certified to fly in Poland under night-VFR conditions." He added that this gives Alpha Trainer (video) owners the possibility to continue flying during winter time's shorter days. Alpha Trainer is a low-priced composite aircraft powered by the 80-hp Rotax 912 engine. Pipistrel said it burns only 2.5 U.S. gallons per hour on a typical flight. Alpha Trainer ships in one "full-equipment" configuration, which includes radio, transponder, GPS, ballistic parachute, specially developed analog/digital instruments, extra strong landing gear, and external lights. The most popular LSA version is produced in Italy. Bahamas Fly-Out #3 As the Sebring Expo 2013 ends, once again a flock of LSA will leave in a show-closing ceremony enroute for two islands in the Bahamas. Stopping first at Grand Bahamas for two days, participants will then fly to Bimini for two days before returning to the USA entering at Fort Lauderdale. Interested to go? You can, but you need to act quickly. Check this website or register here. Borrow the Best Ever wanted to try out one the true high-end headsets to see how your ears will love you for it? Ever wished you could try such a headset in a "real" environment, not just in their booth space at one of the big airshows? Well, lucky you, fellow pilot. I've been wanting the same thing and our good sponsor Sennheiser is prepared to do precisely that for any pilot that attends Sebring 2013 and goes to the Sennheiser booth (H102). First, go book a demo flight in the LSA of your choice. Then trot right over to Sennheiser and make the request. Assuming schedules coordinate, you're good to go. I think it's a wonderful idea and I've put my name on the list. Sennheiser's S-1 Digital is one of the top headsets and I see only one problem from their plan: You might love it so much you have to buy one ... or two. Oh, darn! As I close out this pre-Sebring LSA news wrap, I have additional info on those Chinese light aircraft shown in our earlier article. I invite you to click the link and see the fuller photo captions now appearing by those aircraft. Thanks for the info to a friend at Jane's All the World's Aircraft — he appreciates what he gets from ByDanJohnson.com and offered the update in return. Thanks, Paul Jackson! Patty Wagstaff and LSA? This week brings the start of the Sebring U.S. Sport Aviation Expo and excitement is high. Following are some news items to those who follow this event and the light, recreational aircraft space. On Friday, January 18th, Sebring EAA Chapter 1240 is sponsoring a dinner featuring aerobatic expert Patty Wagstaff who will perform at the event … with such an airshow being a first for Sebring. Proceeds will support youth aviation education programs. •• The Sebring EAA chapter has engineered a rare partnership between the chapter, the airport, and the local school board to provide educational activities for kids. This sufficiently impressed aviation philanthropist James Ray that he ended writing a check for the entire structure, a new 60 x 70-foot building at the Sebring Airport with classrooms and facilities including a large hangar space where high school children are involved in restoring two aircraft.